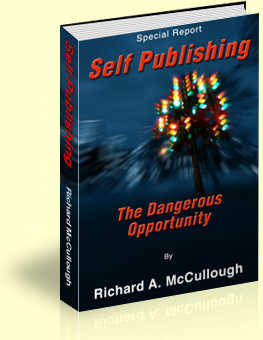 "Self Publishing - the Dangerous Opportunity"
79 page PDF ebook available for instant download. You've still got time to take advantage of this free offer - before the price goes up to $37 bucks. On the Information Superhighway; there are Drivers, Spectators and Road-Kill. And the signals are confusing! You need a road map to separate the hype from the hazards, the opportunities from the scams. Drivers - "Make Things Happen" because they understand the fast evolving digital technology of Self-Publishing and how to take advantage of it. Spectators are left in the dust wondering - "What Happened?" Road-kill are people that - "Stuff Happens To". Naive writers will continue to be road-kill – smashed flat by fast moving technology they refuse to understand. Stuff "happens to them" because they never invest the time to get it. But you don't need to be taken advantage of by the same lies and misinformation that has plagued writers for the last 571 years. Yesterday it was the Publisher's carriage with six black horses – today it's the Mack truck of self publishing. But road-kill is still road-kill and having your dreams smashed dead is still dead. Technology only presents an opportunity to those who know how to use it – to the uninitiated any technology is a dangerous liability. 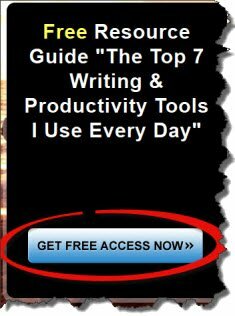 Get this special report - before you wander out onto the Self-Publishing super-highway like a blind possum and wind up as a hood ornament. Get the report to avoid the pot holes, dead ends, traffic jams and Mack trucks that will seriously drain, not only your patience but your bank account; if they don’t KILL YOU DEAD -first. Due to overwhelming demand - I can only offer this Special Report, "Self Publishing – The Dangerous Opportunity" free for a limited time. What you need to watch out for. Where the good deals are. How self-publishing fits with conventional publishing. And the answers to a hundred other questions you haven't even thought to ask yet. Don't let yourself get left behind, run over or ripped off in this modern "Gold Rush" to Self-Publishing. Yes! I want to drive my writing career rather than be a spectator and I sure as hell don’t want to be road-kill. I understand the report is worth far more than $37 bucks but I can have it today for free - If I act now. I'm grabbing my copy now before this free offer is gone forever! I'm entering my Name and Best email address below for the instant download. Thanks for this Special Report on Self-Publishing! It'll save me a lot of heartache and wasted money.